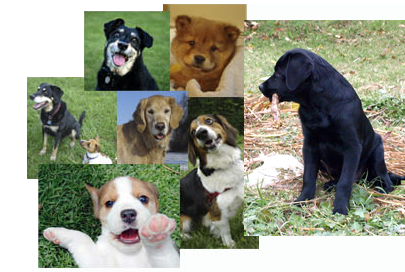 With over 30 years of experience with animal shelters, the professionals at PupQuest have developed a point of view. We hope you will find the following information helpful. In the end, your adoption decision is up to you. Dogs are often in foster homes, there usually isn't a centrally located building. They often focus on a specific breed or importing pups from far away places. If phone numbers are available, they are generally for individuals as opposed to the organization. An actual place you can visit. Most animals for adoption are in the building, though some may be in foster homes. The telephone number for the organization is listed. These distinctions are general and quite variable. Don't get hung up on them, the important stuff is below! We will not spend a lot of time debating this very controversial subject. The words "no kill" are powerful, and it's not very often that people talk about the impact of this noble goal on the less-than-perfect homeless dogs and the open shelters committed to rescuing them. Let us give you some facts and you can decide what works for you. generally take in and help only adoptable dogs/pups and stop taking in any animals when they are full. They turn away many families needing help by referring them to “open shelters”. This greatly shifts the burden of homeless animals to the open shelters. help all dogs and families in their region. They believe that an animal "shelter" is for all animals in need. This open-door philosophy comes with a down side: not ALL dogs are adoptable. Some are too sick and some have behavioral problems that would make them dangerous to place in the average household. In an effort to be responsible not only to dogs, but also to society in general, open admission shelters may perform humane euthanasia. Nothing is more heartbreaking than a family in crisis with a dog they can’t get into a shelter because all the surrounding shelters are “No Kill” and it doesn’t fit their criteria. Where are they supposed to go? » Encourage and require you to meet the puppy/dog in person before committing to adoption. » Temperament test their animals. » Take a dog back at any point in his life. » Spay and neuter all dogs before sending them home or take a large deposit to be returned when the surgery is done within a designated time frame. Reputable shelters follow up to be sure the surgeries have been done. » Keep animals up-to-date on vaccinations and dewormings. » Have potential adopters fill out an adoption application. » Charge justifiable adoption fees. » Won't allow you to visit the pup/dog you're interested in before you must commit to adoption. » Don't do any sort of true temperament test. » Won't take an animal back under certain conditions or at all. » Don't spay/neuter their animals before sending them home. Or aren’t taking refundable deposits. » Don't keep their animals up to date on vaccinations and dewormings. » Have no adoption application. » Charge excessive adoption fees. » Charge excessive "Transport fees". » Keep dogs in unsanitary facilities. » Conduct adoptions in parking lots! Some reputable shelters have easily identified mobile adoption vans. Beware of unmarked vehicles. Half of puppies don't last a full year in their first home. Only 1 in 10 dogs spend their whole life with the same family. These are rotten odds and the reason why reputable shelters and breeders are such careful match-makers. People are usually well aware that there are both good and bad breeders, but did you know shelters and rescues are of varying quality, too? PupQuest can help you learn how reputable shelters and rescues should operate and how to identify the ones to avoid. Yes, we hate to say it, but there are shelters and rescues you should avoid. If you find a dog you are interested in adopting online, contact the shelter/rescue/foster home and visit the pup in person! Petfinder can be a great resource, but they can't possibly screen or monitor every organization listed on their site. This is why it's still important to visit the shelter. 41% of people who adopted their dogs from shelters, rescues, or friends did no research before getting a dog. If you're on PupQuest, you're already on your way to bettering that statistic!